Hamdard University Karachi Admission 2019 open and students who have wish to get admission here, they get complete detail online free from here. It is established in 1991 and now known in top universities of Pakistan. The Hamdard University was built in accordance of the provisional act of the Assembly. This multi campus is privileged to be one of the oldest and most prestigious institution imparting higher education in Pakistan. The university received its charter from the former President Ghulam Ishaq. The university has constructed four major campuses in two cities of Pakistan: Karachi and Islamabad. There are three campuses in the Karachi city & Main campus is the largest private university of Karachi & two other campuses are situated in the downtown of Karachi. Under-graduate and Post-graduate degrees are awarded by the Hamdard University are recognized by and attributed to major accrediting bodies of Pakistan such as the PCP, HEC, NTC, PMDC and PBC. This university gives all type of facilities to its all students. 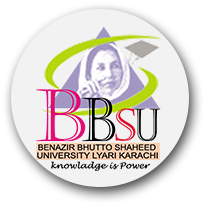 The aim of the University were to provide the education of the herbal medical products and in very short period of time this University made its name in the top educational institutes of the Pakistan. Hamdard University Karachi Admission is being an open couple of times a year. You can apply for the admission by visiting the official page and logging in at www.hamdard.edu.pk/admission. You will receive username and password through email. After logging in, complete your application form and requirements and submit before last dates. Hamdard University Karachi is a famous university of Pakistan which gives all type of facilities to its all students like lab, library, canteen, highly educated staff, play ground and airy rooms, If you have wish to get admission here, then you should apply on time. Only those candidates get admission who fulfill its all requirements. Students with higher marks will prefer for the admission. It is recognized by the Higher education commission and also affiliated with the Pakistan Engineering Council. The fee structure of this university is also very reasonable for every student.